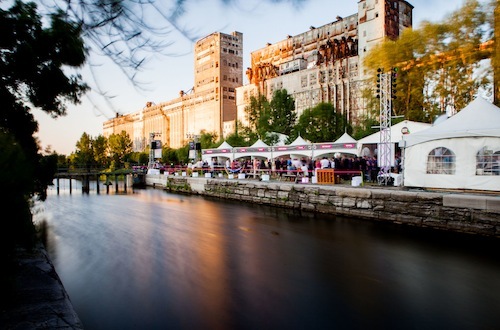 Startupfest will officially kick off this Wednesday July 13th in Old Montreal. Event-goers will return to the familliar stomping grounds at Jardin des Éclusiers to attend a variety of inspirational talks, pitches and keynotes. As of 5:30PM organizers and volounteers will welcome startups of all levels, students and the generally intrigued who are looking to network and learn more about the startup ecosystem, both locally and internationally. 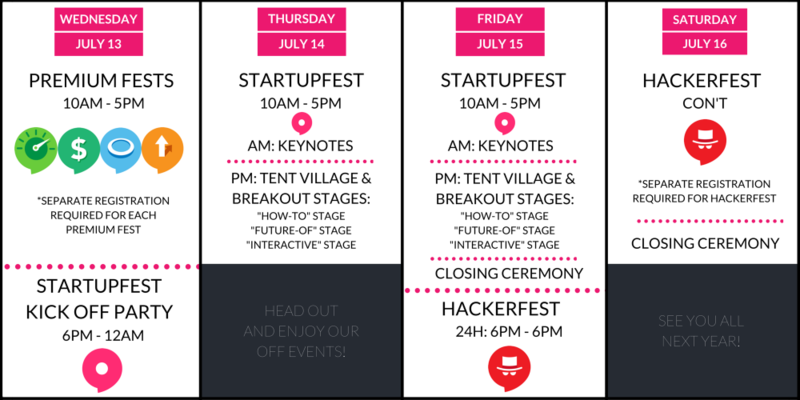 From keynotes to how-to’s and interactives, StartupFest 2016 will undoubtedly be one for the books. For a separate registration, you can get your fest on early and have access to the Premium Fests. Starting at 10AM on Wednesday premium pass holders can have access to five new events, presented by BDC Capital, created for and by the unique communities who attend Startupfest. Picture it this way: you get the same vibe, with tailored content in an intimate, focused setting. Premium Fests take the startup experience to the next level. Calling all programers! Hackerfest might be the event for you. This 24-hour event is an outdoor, multi-topic, innovation marathon for developers, designers, inventors and all-around creators. Participants will enjoy exclusive access to the latest hardware and APIs and support from leading industry organizations. Whether you’re a newbie or a pro, this event will expose you to a whole new world of creation. This years theme at Startupfest is “Firsts” — because as we all know, the path to startup success is a series of firsts — often rethinking assumptions others take for granted and redefining what’s possible. In light of this theme, there are three new firsts at Startupfest this year, and they are all about the future. For the first time ever, Startupfest will become a game- for all of you to play! Working in partnership with Montreal based Startup “Play The Future”, Startupfest 2016 will turn into a three-day, interactive prediction competition (with outstanding prizes). If you’re interested in ‘playing’ along with Startupfest, be sure to download the smartphone app! We’ll be peeking into what’s to come with the man who never gets it wrong. While he’s been out of the public eye for close to a decade, Josh Harris will be making new predictions on the future of humans and machines. Josh has been able to accurately predicted many trends over the past decades, and he’s chosen Montreal for his first appearance! Aren’t we special? Feeling concerned about what’s to come? Can’t say we blame you! Just bring a smartphone or notepad and an open mind. Where and when: “How-To” stage, Friday, July 15th at 3:55pm for Jack Knowledge with Andy Nulman. The screening of We Live In Public will be shown on Friday July 15th at 8:30 pm. Following the wrap of Startupfest 2016, the keynote stage will be turned into a movie theatre. Festival goers are encourages to attend this Sundance Film Festival award winner, followed by a Q&A with filmmaker Ondi Timoner, and lead character Josh Harris. This event is free for all Startupfest attendees that reserve their seat. $5 for the general public. So come out and explore Startupfest 2016 – “firsts” and all. Be sure to check out the map to the venue. 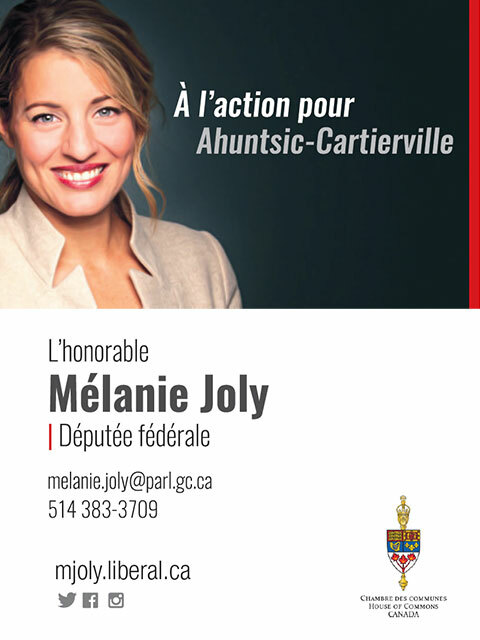 Editor-in-Chief of DCMTL Blog and Founder of Nudabite.com Animal lover, foodie extraordinaire, wine and kale enthusiast. Generations X and Y, but not Z. My personal advice: don't be afraid to eat the crust.